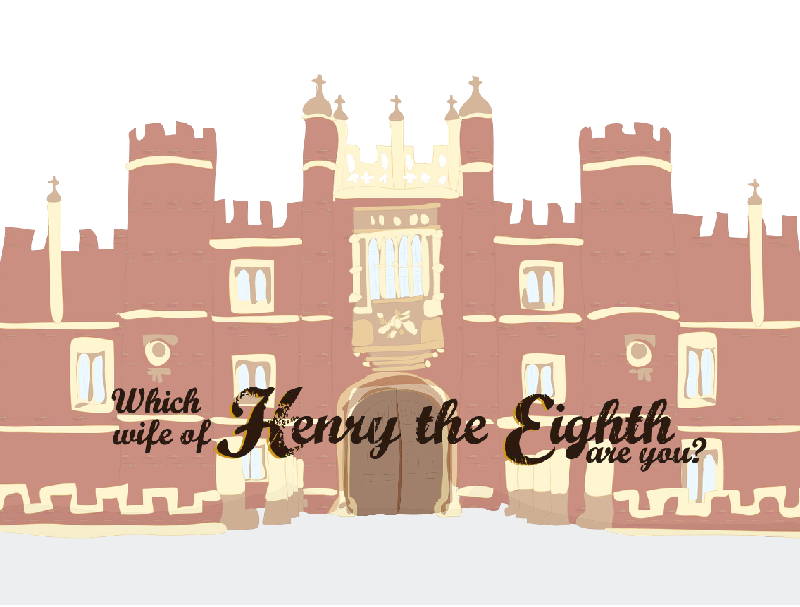 TIFFANYF » Which Wife of Henry VIII are you? The learning object takes the user through an illustrated version of Hampton Court palace and brings up questions that the user must answer in order to determine which queen consort of Henry VIII they are most similar to. The quiz is meant to give the user small, interesting pieces of information that will spark an interest in learning about other queens or events from the time. I completed the illustrations and actionscript for this project. Flash and Illustrator were used to create this project. The learning object would fit well in a tourist site such as the official Hampton Court Website (http://www.hrp.org.uk/hamptoncourtpalace/), especially because they have recently begun to incorporate interactive flash to the site. The interactive quiz allows the viewer into a teaser of information before they visit the actual venue.